The scientists have developed a smart phone, which has no battery. When the commercial version of this mobile phone will be provided in the market, the users will use it and they will never face the problems of low battery or the battery dies out when need it extremely. 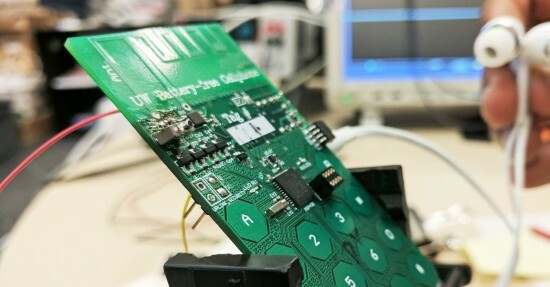 The team of the researchers at University of Washington succeeded in preparing this mobile phone. Why Do Cell Phone Batteries Drain So Fast? When we talk on the mobile phone, it generates the sound waves and it is added with the information in analog form and the microphone converts it into the digital signals. These digital signals are further converted to the analog signals to the receiving persons to listen to your voice. The conversion of the analog to the digital and more takes lot of power. Mobile Phone is also used for different reasons other than calling and receiving the calls so the battery of the smart phone is drained out. If these operations are removed then the capacity of the battery stay long and it will never recharging for long time. How Does This New Phone Work? The mobile phone makes the digital to analog conversions with the use of analog radio signals and they are emitted by the custom designed base station. The message is received on the receiving end with the pattern of radio signals, which are picked up on the receiving end with the end of antenna and the pattern is converted to sound waves by speakers. When you send the message, the voice of the user causes vibrations and is used by antenna in order to modify the ration signals, which are emitted by base station. All of the main work is done by base station and it is very easy to integrate into cellular networks. When the mobile phone has all these features, it needs 3.5 microwatt power source. The team of the engineers has made two ways of generating energy without use of any battery. The power can be driven from radio signals in base stations or in the shape of the grain of rice sized solar cell present on the circuit board of the smart phone. It is the prototype to work by calling on Skype and it is used with the capacitive keyboard. It also switches between the talking and listening modes to press the button in walkie talkies. Till few years before, no one can think about such a smart phone, which will work without provision of battery. Now it has prepared with the wireless charging notebook and this battery less smart phone seems that future is wireless.